The conjunction is the part of speech used as a “joiner” for words, phrases, or clauses in a particular sentence. It links these words or groups of words together, in such a way that certain relationships among these different parts of the sentence will be established, and the thoughts that all of these convey will be connected. What are the Different Types of Conjunctions? In the English language, conjunctions come in three basic types: the coordinating conjunctions, the subordinating conjunctions, and the correlative conjunctions. 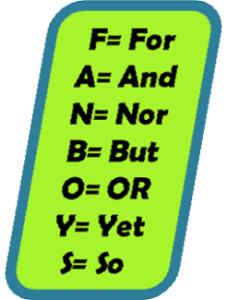 Among the three types of conjunctions, this is probably the most common one. The main function of coordinating conjunctions is to join words, phrases, and clauses together, which are usually grammatically equal. Aside from that, this type of conjunctions is placed in between the words or groups of words that it links together, and not at the beginning or at the end. Pizza and burgers are my favorite snacks. In the sample sentence above, the underlined word serves as a coordinating conjunction that links two words together (pizza + burgers). The treasure was hidden in the cave or in the underground lagoon. What those girls say and what they actually do are completely different. In this sentence, you’ll see how the same coordinating conjunction ”and” from the first sample sentence can be used to link clauses together (“what those girls say” and “what they actually do”), instead of just single words. If, on the other hand, you are linking more than two words, phrases, and dependent clauses together, a series of commas must be placed in between the distinct elements. Lastly, for joining together two independent clauses, a comma must be used before placing the coordinating conjunction. Cassandra fell asleep, so Joaquin just went home. I don’t really like spaghetti, but I can eat lasagna any day. This type of conjunctions is used in linking two clauses together. Aside from the fact that they introduce a dependent clause, subordinating conjunctions also describe the relationship between the dependent clause and the independent clause in the sentence. It is so cold outside, so I brought you a jacket. Because it is so cold outside, I brought you a jacket. By looking at the sentences above, you will easily notice that a subordinating conjunction can be found either at the beginning of the sentence or between the clauses that it links together. Aside from that, a comma should also be placed in between the two clauses (independent clause and dependent clause) of the sentence. The correlative conjunctions are simply pairs of conjunctions which are used to join equal sentence elements together. Both my brother and my father are lawyers. I can’t decide whether I’ll take Chemical Engineering or take Medical Technology in college. What is a Conjunctive Adverb? Conjunctions are very essential in speech and in writing. They improve the cohesion between the different parts of the text and enable you to construct long sentences without sounding awkward. Although the concept of conjunctions may seem too simple, you should still take time and make sure that you place the punctuations properly, choose the appropriate conjunctions, and see to it that you adhere to the standard rules of grammar.